How to Make a Good Reflective Essay Thesis? How to Choose Bright Reflective Essay Topics? How to Proofread the Work and Correct Mistakes? How to Get Professional Help in Writing a Reflective Paper? The reflective essay is used in a range of different academic courses. When writing this work, students have to look back at what they learned and reflect this on paper. All internship students are required to write an internship reflection essay to make their conclusions about that experience. If you want to know what is a reflection essay and how to write it correctly, read our detailed guide that will help you to create an impressing work easily and fast. We recommend choosing a reflective essay title before writing it itself. 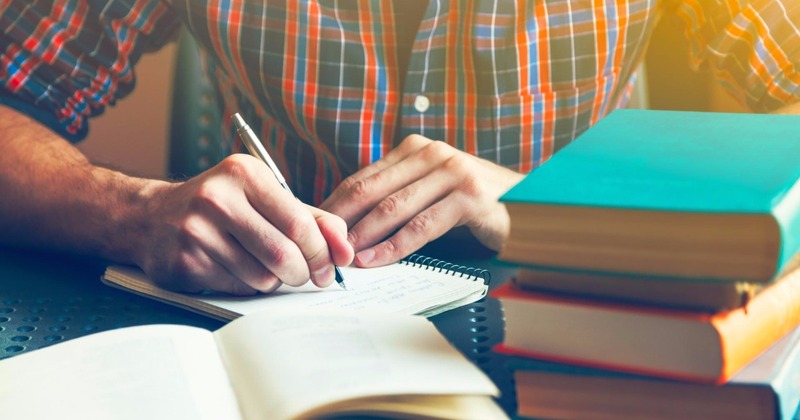 In fact, writing a reflective essay does not differ from any other type of paper ; the only difference that it should be a reflection of yourself. And here we are going to tell you all nuances and share tips on how to write a reflective essay, just keep reading our detailed instructions. One of the most important things you should consider it to define what a reflective essay actually is: this is a reflection of yourself; you will have a definite topic, which concentrates on you. Your reader is expecting the evaluation of your life during some period of time. Your teachers and/or professors may ask you to reflect on different memories, feelings, and emotions of your past. They are supposed to be exciting and interesting. This is a critical key, and we hope you understand that your potential audience wouldn’t want to read a boring author. This is a very special and really personal essay type: you will need a lot of things to consider, reflect and explain. You must demonstrate various feelings you felt previously. For example, you may have to show how you have changed yourself from the childhood or how you used to play with your best friends. Your teacher may ask you to highlight some events which are related to social or political aspects. It’s obviously that you may have such memories, but you may not have all the details to make the story full. Take some time to reflect all necessities. You will have to go back to your previous life experiences and give a clear account of a certain event, happening or feeling. It is necessary to choose the proper words and phrases during reflecting your thoughts and showing what you feel. Therefore, you should decide on choosing good words to fully describe what you wish. Plus, you should identify your own writing style to make the content clearer, readable and positive; reveal an original manner, try to share with your audience important and happy feelings. Nevertheless, be honest: if you have something negative, mention it as well. At times, looking at some other essays may come you in handy; it is quite possible that an illustration essay may help you. Take a look if you have time. Needless to say, it can be quite difficult for you to fulfill this assignment and create a good reflective work. But you have a great chance to make an interesting essay – all you need to do is order your work online . You should explain what you are going to describe and what your main ideas are; a proper start sufficiently increases your chances of success. The end of your reflective paper should be effective. If you draw proper conclusions, you will show the high level of understanding what you have depicted in your own story. If you are looking for a deep research on the paragraphs we have mentioned above, you may use this link . With this guide, you may discover some other helpful tips to write an appropriate reflective essay. Don’t drag someone else to your reflective paper. Write about actions, but not people, and formulate your conclusions according to these actions’ influence. In the reflective paper, you are not allowed to write from the first person, though don’t forget to use evidence to support your opinion and feelings. Avoid slang words in your work. This is a serious paper so even in you bring some humor inside it, write the whole text as an essay for your readers, but not turn in into the personal journal. Use transitional phrases to introduce details. Include to your work such phrases as “for example”, “as a result of it”, “the opposite point of view is”, etc. Keep your story bright, but short: usually, this work should be around 300-700 words long. Check out if you have followed the specific requirements to your reflection paper. Making a draft. Depending on your goals, write the draft to see how the things appear on the paper. Afterward, you may rewrite all weak places and introduce something you might have missed previously. These prompts are very helpful. Please don’t forget them. Keep in mind that you might possibly require some other assistance that differs from reflective essay examples. Consequently, we propose to review the following link – to ease your academic duties; later on, those tips might come to you in handy. At times, you may be missing some good ideas for your reflective essay topics. Even if you know how to write the reflective essay, you may not be able to pick up a relevant and interesting topic . Under the condition, you cannot perform a reflective essay on English class make a deeper research. Explore the local libraries and the Internet. This is a good piece of advice, and if we were asked where to find proper topics, we would suggest this web resource . Keep it in memory and take some notes to have the ability to choose a suitable topic and complete your assignment. After finishing your reflective work, it’s important to revise it and fix grammar and logical errors to make it look professional. Don’t be in a rush and take your time. It is more effective to proofread your essay not just after you put the pen on the table. We suggest taking a break for several hours or for a couple of days, it will help you to see your work with refreshed eyes, and it means chances would be less if you’d miss mistakes. Don’t hesitate to use different vocabularies. This will help you to define words’ meaning, and it’s also good to use online services for checking grammar errors in your text. Some people enjoy writing essays and articles, but for others, it could be like the worst nightmare. Different people have different skills and abilities, that’s why we may like and dislike doing various things. Not everyone was born as a writer. If you have to write a reflective paper, but have no idea how to start it, don’t worry about that and let real professionals do this job for you in the shortest terms! Our site collaborates with the most experienced writers that are ready to help you in your work’s writing or proofreading. Needless to say, you may have some other opinion. Therefore, we encourage you to make a decent analysis of other resources or ask us to assist you in this matter as well. Visit our official webpage and make your order easily. Our service is becoming one of the best in its class and it can be your best assistant! Self reflective essay is a personal opinion as the author conveys their own feelings over a certain subject matter. It may be in form of a book movie or artwork. This type of writing applies mostly in creative arts but not limited to elsewhere. We usually come across this type of writing in books or movie review. Self reflective essay do not require much research like other type of research. It aims at communicating opinion and providing reflection and experience up to conclusion. Self reflective essay do not necessary need writers to make references to support the validity of their opinion in their essay. Talk about new strengths and weaknesses in relation to the experience you have gained. Paint a picture to the reader on how you have grown morally, emotionally and physically. When writing self reflective essay always use first person to express your ideas. Statements like ” I prefer ” ” my own point of view is ” this will help the reader understand that you are just expressing your own opinion and not facts. Explain your topic in a five to ten sentence introduction paragraph. Express your own opinion in the introduction part by writing a short synopsis which is only written in the introduction. At the introduction write your thesis statement in one sentence. The rest of your paper should support your thesis statement while giving evidence. After the introduction is the body of your essay which should be about three paragraphs. Each part of your subject matter should discuss in one paragraph. Ensure that whatever content is in the body ties with your thesis statement. Write a recap of your essay in your conclusion highlighting major points as you avoid repeating yourself. At the conclusion express an experience that you had and you have learnt after going through. Let the reader understand your experience clearly and the impact it may have in future. Express how useful is the knowledge and experience gained will be useful in future. When writing self reflective essay simply just express you own opinion in regard to a particular subject. You must not do research in writing this type of essay as much of the content is derived from your own thought. What majorly entails is going through the subject matter of the paper and understanding it better. Get your essay or assignment done fast!